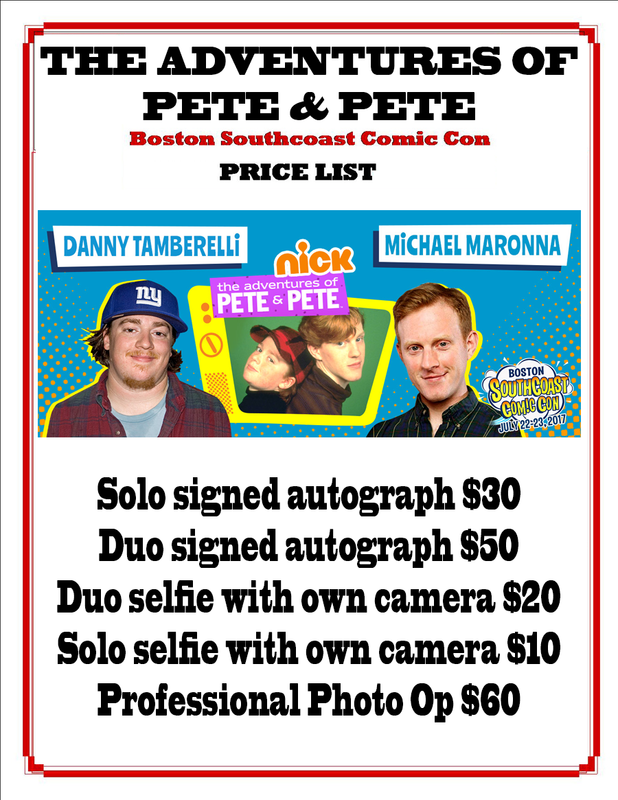 The Adventures of Pete & Pete began on Nickelodeon in 1989, as minute-long shorts that aired as interstitials. Owing to the popularity of the shorts, five half-hour specials were made, followed by a regular half-hour series that ran for three seasons from 1993 to 1996. Reruns of the shorts and the shows now run on TeenNick as part of their block The Splat. 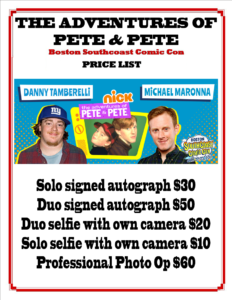 Stars Danny Tamberelli and Michael Maronna will be at the Boston SouthCoast Comic Con at the Hanover Mall Event Center, Saturday and Sunday, July 22 and July 23, to meet fans, sign autographs, pose for photos and do a panel about the Adventures of Pete and Pete. Show hours Saturday are from 10 am till 6 pm and Sunday from 10 am till 5 pm. Children 10 and under are free with adult supervision.